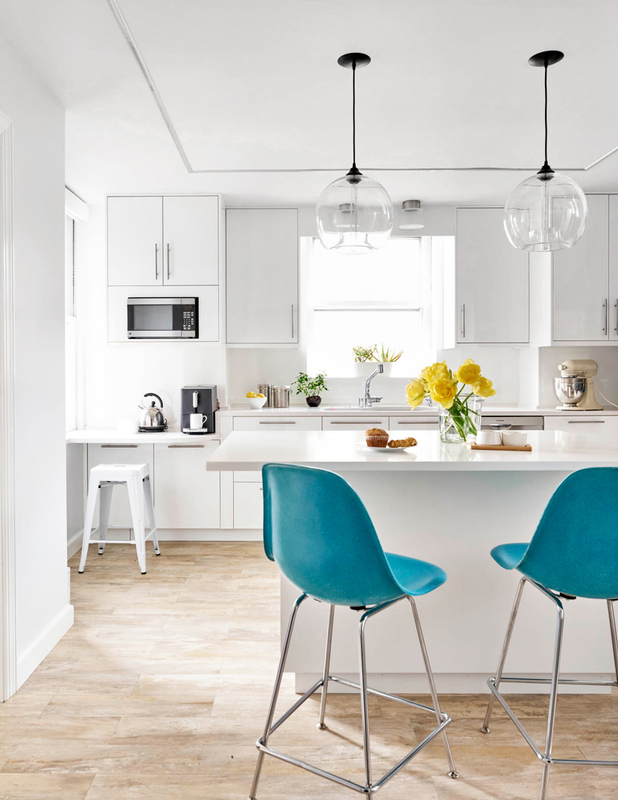 A woman called on the help of Melissa + Miller Interiors to transform a 2,300-square-foot unit in Philadelphia, Pennsylvania that hadn't been touched since the '70s. She wanted to create a space that could accommodate her grandchildren during extended stays and guests of all ages for get-togethers. Two Stamen pendants in Crystal glass hang above the kitchen island. The classic Crystal glass complements the neutral interior, which was once cluttered with dark counters. 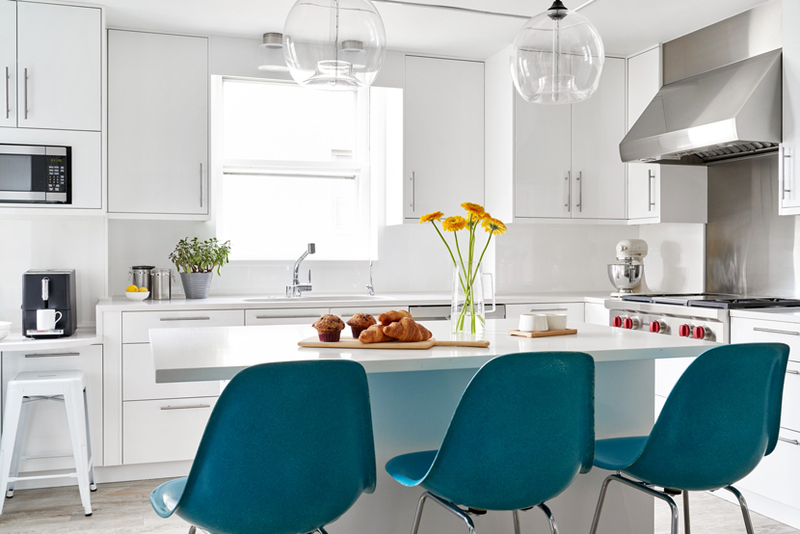 The all-white palette - with a pop of color from the Turquoise Eames Fiberglass Stools - creates an airy, bright, and inviting atmosphere that everyone can enjoy. The first design that inspired Niche, the Stamen pendant boasts a voluptuous body that tucks into itself unexpectedly. Looking to include this hand-blown light into your next project? Download the Stamen Product Guide to get all the information you need, including inspirational ideas and product specifications, sent right to your inbox.